Thanks to WiGig 802.11ad WiFi standard, smartphones, laptops, routers, tablets and other Internet connected devices are all set to get a lot faster from next year onwards. 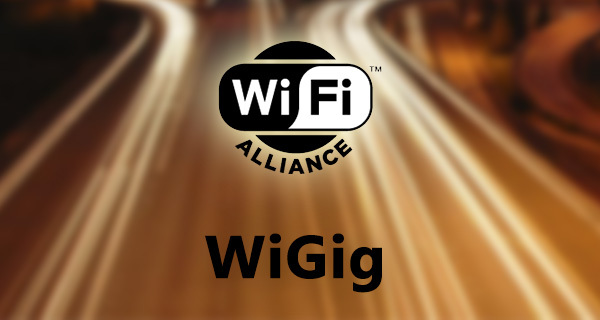 The Wi-Fi Alliance, which has been tasked with certifying interoperability of wireless Local Area Network products since 1999, is in the process of certifying those aforementioned devices that includes a new super-fast WiFi standard called WiGig, which is looking to double the current top WiFi speeds of those devices that conform to that standard. The Wi-Fi Alliance has stipulated that the new Wi-Fi standard should start to be found in those “marquee” devices starting from next year. That likely means that only the top-end laptops, smartphones, or the most expensive routers will come with WiGig compatibility, at least for a start. The standard itself also has a much shorter ranger than currently used WiFi standards, with an operating range of approximately 33 feet, or 10 meters. That basically means that if you happen to own a smartphone or laptop that’s WiGig compatible, then in all likelihood it will need to be in the same, or adjoining, room to the WiGig router to get the full benefit. Those limitations immediately show that more work needs to be done to either extend the range of WiGig, or use this as a foundation to actually produce the next standard that removes the current limitations, but also brings all of the speed and bandwidth benefits. With that said, there’s immediately a benefit to those individuals who might want to introduce some kind of virtual reality system into their lives. Current wireless standards simply aren’t fast enough to support high-end VR experiences, which means that devices are often tethered to hardware. WiGig eradicates that requirement, but within its own confines and limitations, of course. There is also going to be a new wireless standard code to denote the fact that a product is WiGig capable; 802.11ad. Yes, that’s right, yet another crazy naming convention to wrap your head around. Most modern Internet devices offer support for 802.11ac, but with this move to 802.11ad means that the hardware is capable of the new faster wireless standard. There are already a few very high-end routers in the market that are marked as 802.11ad compatible. Those devices are theoretically capable of delivering Wi-Fi speeds of 8Gbps, compared to the 4.5Gbps of 802.11ac devices. As for now though, WiGig in its current form should be taken as a stepping stone to things to come in the near future. Problem with these radio frequency wireless technologies, AC included, is that the range of the network really isn’t something to brag about. Within 5-10ft it works marvelously, but beyond that there’s no signal. Even if it’s 8Gbps, if it’s within a 5ft range(they say 10meters, but real world results are always less) , what would be the point, might as well get wired in and get 1000Gbps? Perhaps radio frequency is at it’s limit and we should be looking elsewhere for a better wireless solution. My router can shoot laser beams and burn my house! Then I beckon you sleep on the streets! Absolutely, LiFi seems pretty neat. The biggest drawback is that the signals cannot pass through walls, so literally every room needs to be lit up with LiFi so they need to really amalgamate it with other technologies like PowerLine and even WiFi for alternative connectivity overcome that issue. Like you sort of mentioned. Perhaps it’s not just a single technology, but a combined solution that gracefully switches from one to another when the thoroughput doesn’t meet to keep the LiFi networks connected. So you really have 1.3Gb of speed? Network cards top out at 1,000mbps. (Though, you can get an add on card for 10,0000mbps, but the switches and routers are priced ridiculously.) 802.11ac is ~4500mbps, theoretically. 802.11ad is boasting 8000mbps. The bottleneck at these speeds is the hardware write speed. So, at this point, those speeds aren’t very useful beyond the transfer rate a computer can cache and write data. SSDs write at 550MB/s, that’s 4400mbps. So no, we’re in that range of capable hardware. What your also confused with, AC router speeds are misleading, they are combining wireless speeds of how many access points it has. AC routers typically have 3-4 APs so it’s multiplication of that 1200mbps x4. Problem is, a device can only connect to one access point at a time. And you probably have dsl to go along with it….